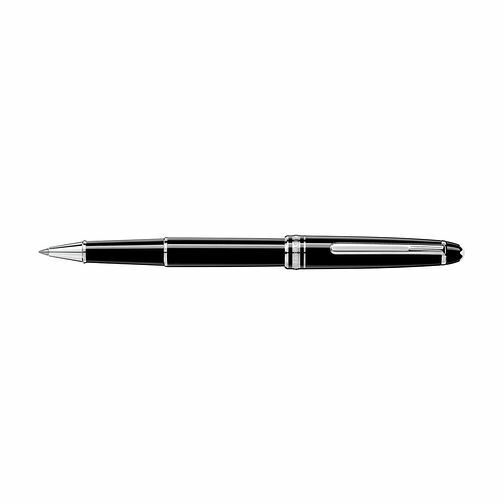 From the exquisite Montblanc stationery collection, this Meisterstuck Classique roller ball pen features a sleek black resin case with platinum-plated fittings, and topped with the brand's white star emblem. Stylish and comfortable to use, this elegant pen beautifully celebrates the art of writing. Montblanc Meisterstuck Classique roller ball pen is rated 5.0 out of 5 by 1. Rated 5 out of 5 by Anonymous from grest item, best price, fast delivery, great service Can’t teally fault the product, delivery or service. Everything went super smooth and I couldn’t be happier. Will for sure use it again!